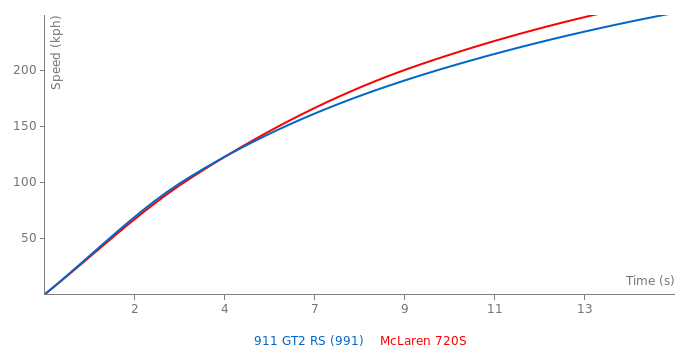 720S is the fastest by a small margin. This comparison has been viewed 20k times. Ofcourse it will, Its already one of the top performing cars currently, The LT will take it a step further, And should look bloody awesome, Question is, What will everyone else be working on?.. McLaren 720S needs P Zero Trofeo R! Newsflash. The handwritten notes of the head engineer on the Porsche GT2RS project have been leaked and are very "telling." For the Nordschleife record run, the car was run on 102 octane allowing the timing to be advanced some 6 degrees from stock. Also, the tires were shaved 50% prior to mounting for the run. Is this stuff cheating? Decide for yourself. Lap times in road cars are so irrelevant,that's stupid,who cares? I think they are pretty much on the same level when it comes to racing-performance. Porsche is always very conservative with it's performance-declaration and the official numbers are obviously higher than the real ones. The GT2 RS has been tested in 2.7s on 0-100 kph / 0-62 mph and also the 0-200 and 0-300 kph times are better in reality. A professional comparison of both supercars would be amazing. Testing them on a circuit, on the road, their daily-driving abilities and everything in detail - like the steering, gearbox etc. - a huge test. The 991.2 GT2 RS and 720S are currently def. the most amazing supercars one level under the hypercar-segment with beasts like the 918 Spyder, P1 etc. In my hands the 991 GT2 RS (WP) can win a race against a 720S ! Can't hardly wait for the real faceoff!